How to Invest in Brazil via M&A? Doing business in Brazil? Do you want to know: Why invest in Brazil? How mergers and acquisitions business practices differ from other countries? What are the main sectors with business opportunities? Advantages of investing in an established firm in Brazil? Challenges of a business acquisition in Brazil? 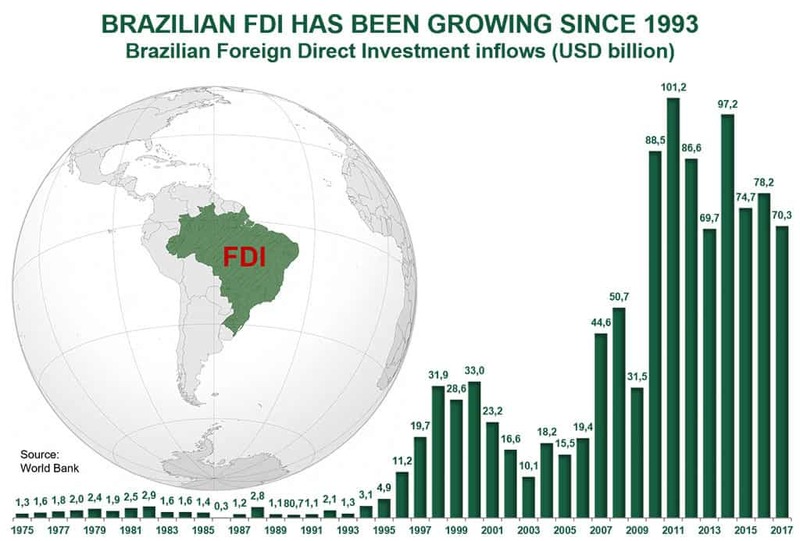 How relevant is FDI (Foreign Direct Investment) in Brazil? 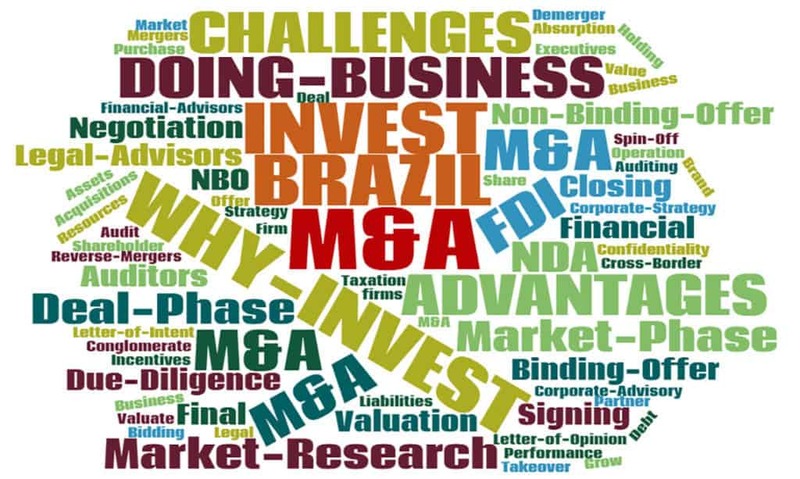 How active is the Brazilian M&A Market? What are its trends? What are its most active sectors with investment opportunities and its geographic locations? What are the main foreign countries investing in Brazil? How is the Brazilian M&A Process? Why the “Market Phase” is key? What are its options? What stages of the “Deal Phase” differs from other countries? If you want to know the answer to any of those questions, this article was written for you. Huge Economy, size and internal market. 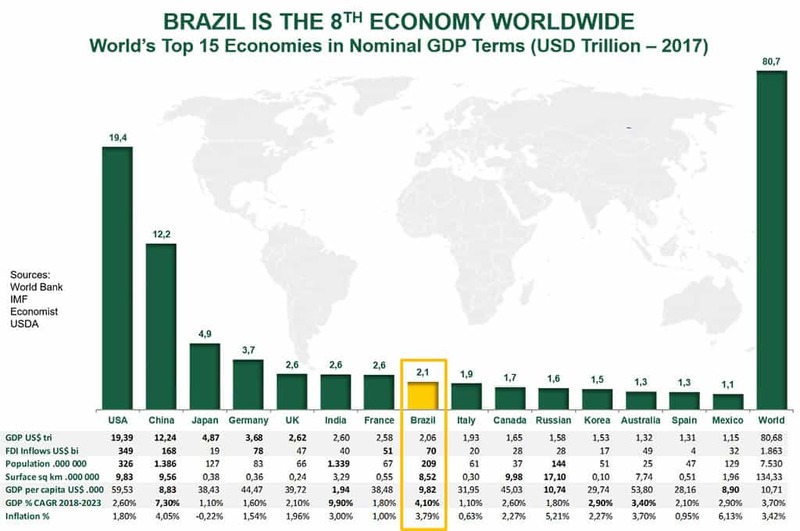 With a 2017 GDP of 2,06 US$trillion (according to World Bank), Brazil is the 8th biggest economy in the world, and is the 5th in terms of both surface (8,52 million sq km) and population (210 Million inhabitants). Gate to Latin America. Its GDP is the biggest and represents 1/3rd of Latin American GDP (including Mexico). This fact, along with its industrial development, makes Brazil (and specially São Paulo city) the natural Latin American Headquarter for many multinationals. São Paulo city is the main financial and business hub of both Brazil and Latin America. São Paulo City Area, with over 20million inhabitants, is the most populous city in Brazil, Latin America, and the whole Southern Hemisphere. São Paulo State gathers 1/3rd of Brazilian’s GDP, and São Paulo City concentrates 50% of São Paulo State’s Economy. This makes São Paulo city not only the biggest economy in Brazil, but also both the biggest economy in Latin America and the whole Southern Hemisphere (including cities from the Australian and the African Continent). 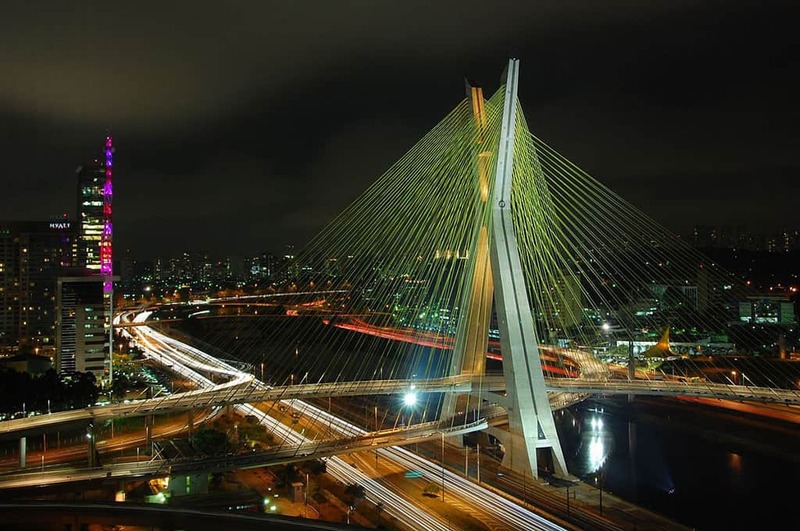 São Paulo counts with the top business infrastructure that any other global financial center in the world has. Therefore, São Paulo city is the base for most of the multinationals, banks, top financial advisors and law firms. Consolidated democracy and Rule of Law. Unlike other emerging markets, Brazil is a consolidated democracy and strong institutions and separation of power have allowed democratic transitions when powerful politicians (including former presidents) and businesspersons have been proven guilty of wrongdoings. Rich Natural resources. Brazil is the world’s largest producer and exporter of: agricultural products, ethanol, iron ore, soy, sugar cane, fruit, coffee, meat, leather and chicken, etc. On top of that, Brazil is self-sufficient on oil, and other energy production resources such as hydro and wind power plants. Brazil’s energetic matrix (including oil and gas) has 50% of renewable sources (much higher than the world average limited to 14%). Indeed, according to PDE 2026 (the Brazilian energy master plan), renewables represent 79% of electricity generation (mainly hydro 65% and wind 6%) . With only 3% of the world’s population, it gathers 20% of the drinking water worldwide. There some areas in northern Brazil (specially in “Bahia” State) were the wind energy farms produce energy at a world record of 60% of the time (the world average is 24,7%). Regarding Solar Generation, the States of MG (“Minas Gerais”), BA (“Bahia”) and PI (“Piaui”) also have world record solar irradiation. Indeed the worst solar region in Brazil is more irradiated than the best solar region in countries such as Germany, France or UK. Highly developed industry. Brazil is one of the top worldwide producers of: cars (all top brands multinational produce in Brazil), wind generation equipment (GE, Wobben-Enercom, Acciona, Weg, Siemens-Gamesa, Vestas, etc), airplanes (Embraer), pharma (all top multinationals produce locally), etc. Peaceful country. Brazil has a rich mixture of cultures, formed by Indians, Europeans, Africans and Asians that have been establishing in the country. This diversity of ethnic groups in a same place molded a society plural and tolerant. The Brazilians respect different cultures, easily integrate the various customs and easily incorporate new habits and working methods. Brazil has no terrorism, nor have engaged in any war during the last decades. Infrastructure opportunities. Brazil’s infrastructure (airports, train, roads, ports, energy) is still considered a bottleneck and thus a priority area of investment. Therefore the government established several legal and political instruments to promote investments including PPP (“parceria público privada” or private-public-partnerships), PAC (“Programa de Aceleração do Crescimento” or Growth Acceleration Program) and “Projeto Crescer” (Growing Project). Regional Opportunities. There are 14 cities outside the State of São Paulo with over 1 Million citizens, and several states are indeed bigger than many countries. Those cities and states have specific trends and needs. Therefore, it is important for multinationals entering Brazil to analyze the different regional markets. Growth opportunities. On top of this, with a 2017 GDP per capita US$9,821.41 (according to World Bank), Brazil is the 70th country in the world, and is at the bottom 5 countries along the top 15 economies worldwide. Therefore there is plenty of space for improvement. On top of this, according to USDA estimations, after a record long recession, among those 15 top world economies, Brazil will be the 3rd fastest growing country in the period 2018-2023. Brazilians often say “o Brasil não é para amadores” (Brazil is not for amateurs). In practice, despite the huge opportunities that Brazil offers, there are huge cultural and legal challenges that multinationals have to face when entering Brazil. Due to its continental size and the different external influences along Brazil’s colonization process, there are relevant cultural differences/challenges when comparing Brazil do other countries, and when comparing different Brazilian regions. Those cultural differences greatly affect the way of doing business. 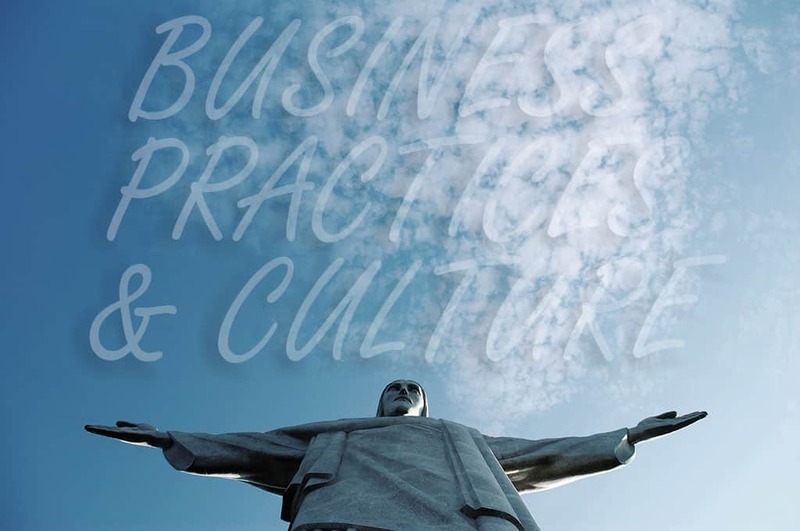 In order to accomplish successful business deals in Brazil it is of the utmost importance to understand and to act upon those cultural differences. Brazilian tax system is one of most complex in the world, being ranked by Forbes as the “most time consuming tax regime in the world”. Tax compliance is not easy due to numerous federal, state, and municipal, overlapping and constantly changing taxes. Despite the recent labor reform, Brazilian labor law is still complex, compliance is not easy, and Brazilian labor litigation level is also a worldwide outlier. On top of this, depending on the segment, there can be also several regulatory and environmental obligations, which can greatly delay a organic market entry. Therefore, acquiring the “right target”, at the “right price” with the “right purchasing structure” following the “right deal process”, can save you a great deal of time and money and diminish your risks. Access to distribution channels / customers. Access to unique assets such as human capital, know-how, etc. As show on the former graph, Brazil is currently the 4th top country in terms of FDI inflows among the top 15 economies. As shown on the graph below, since 2003, Brazil has enjoyed a record number of transactions with the only exception of 2009 (due to the worldwide subprime crisis, in which Brazil, due to its conservative banking system, was one of the first countries to recover). Indeed 2018, with 967 transaction, was the most active year in terms of M&A ever. Cross border transactions historically vary from 40%-60% of the total number of transactions. Year 2015, with 504 cross border transactions, was the most active cross border year ever, due to a temporary weakness in the Brazilian Real. With the election of Mr. Bolsonaro, the first time ever liberal Brazilian President, 2018 has ended a 14 years socialist cycle in which the Brazilian economy, businesses and citizens have been hampered by a huge, inefficient, and corrupt state. The economic program of the new government has been coordinated by Mr. Guedes (a renowned Chicago University liberal economist), and is just the opposite of the former 14 years ruling government. It proposes: increased market freedom and competition, a smaller state (including privatizations), less taxes, support to entrepreneurs and businesses, and much needed social security and tax reforms. In consequence, the Brazilian currency and the stock exchange is already boosting at record levels, and the M&A expectations are higher than ever before. Some other sectors that are also quite active are: Financial Institutions, Education, Insurance, Advertising, Engineering, Transport, Mining, Chemical and Pharmeceutical products, Telecommunications and Media, Hotels and Restaurants, Chemicals, Ports and Aeroports Services, Public Services, Shopping Centers, Construction and Construction Products, Metallurgy, Auto Parts, Sugar and Ethanol, etc. On any of those top sectors, there are global players entering Brazil via acquisitions, global and local funds financing growth opportunities, and local players implementing inorganic growth strategies. As previously explained, São Paulo state gathers one third of Brazilian GDP and most of the multinationals and bigger companies are headquartered in São Paulo city. 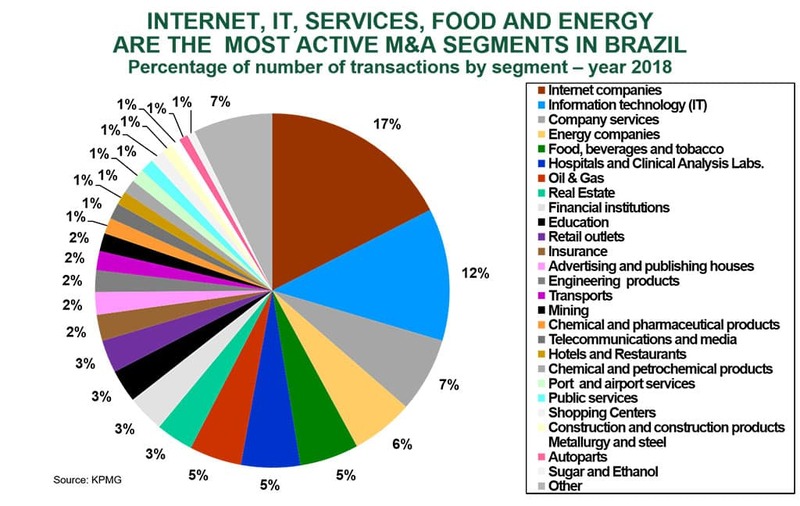 Therefore, it is not a big surprise that almost 50% of the M&A activity is concentrated in the São Paulo State. 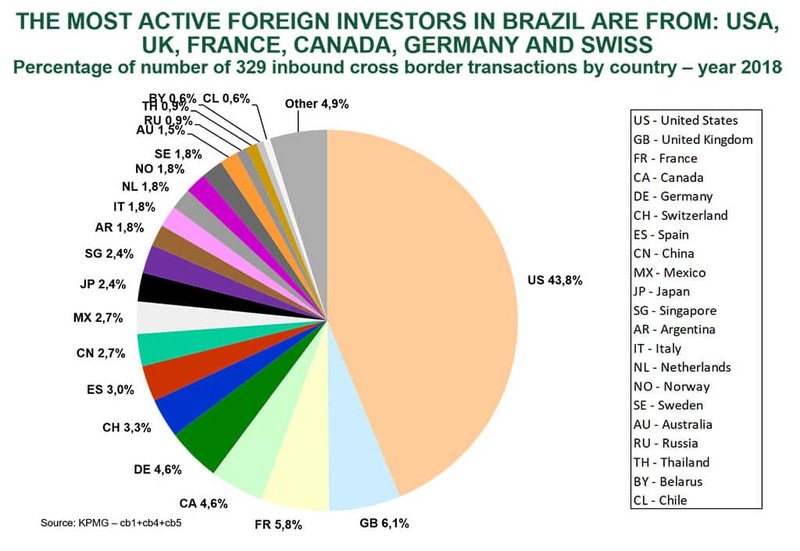 Regarding the Cross Border transactions, the most active regions investing in Brazil via acquisitions are i) North America (USA, Canada), and ii) Europe (France, Great Britain, Germany, Netherlands, Sweden, Switzerland, Norway, Austria, Belgium, Bulgaria, etc). Each one of those regions represent 1/3rd of the total number of transactions. Other active countries investing in Brazil via acquisitions are: China, Mexico, Japan, Singapore, Argentina, Australia, Russia, Thailand, Belarus, Chile, etc. 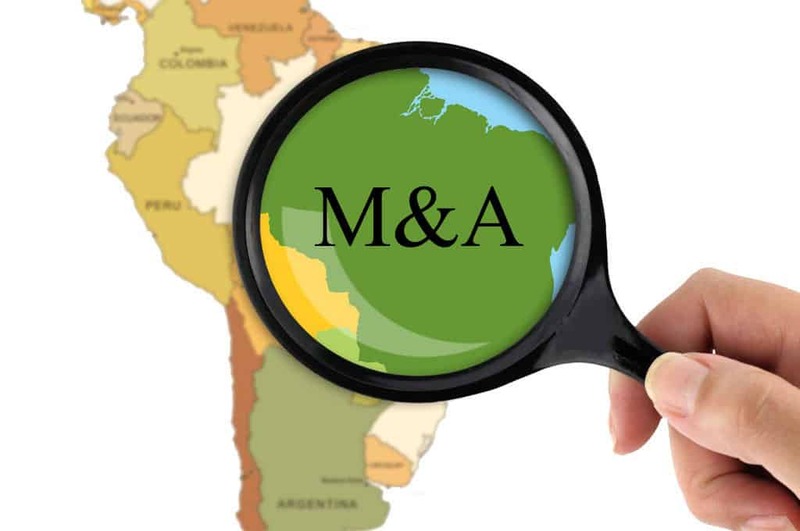 As tax, labor, legal and regulatory compliance, as well as “integrity” are not to be taking for granted in Brazil, selecting the right “acquisition target” is crucial for a successful M&A transaction. On the other side, publicly available information is quite scarce and, when available, is not always reliable. Consulting experience, double-checking information from several sources, including personal contacts, is therefore of the utmost importance. When reaching the “Deal Phase” of a transaction, there are relevant cultural facts, that are crucial when sitting at a the negotiation table, as paradoxically: personal relations, creating empathy, speaking the same language, gaining trust, and in summary dealing with emotions, can be as relevant as making a high bid or communicating brilliant rational arguments. Business Valuations in Brazil need to be political-proof and economical-proof, as valuation assumptions may change due to regulatory, legal and economical shifts. Therefore, a solid scenario analysis developed by a local M&A advisor is vital to a trustworthy business valuation. Due Diligence in Brazil is crucial in order to map and quantify liabilities. The bad news is that there is not a single transaction without liabilities. The good news is that there are several legal and financial structures, which can either mitigate those liabilities, or leave those burdens on the seller’s side. Map the sector of interest and its players using not only the scarce information available from public sources, but also data from private sources. Screen and prioritize the targets by interviewing third parties (industry experts and top executives). Double-checking the information by consolidating different sources. Deep knowledge of the “Brazilian style” of doing business and dealing with Brazilians. The ability to develop trustworthy and friendly negotiations in Portuguese. Local knowledge of the political, economic, legal and regulatory environment and its potential shifts in order to develop trustworthy business valuations. Analyze your sector of interest (growth opportunities, competition, required licenses, etc). Select the “targets” that are more aligned with your Brazilian market entry strategy and business culture. NDA Signature: After contacting the “prioritized targets”, you enter the “Deal” by signing a reciprocal “Non Disclosure Agreement” (NDA), in order to receive detailed, confidential information of the target, including its accounts and financials. Target Valuation: Once you have the target’s accounting and financial information, you can build a financial model, develop different scenarios, include your own synergies, and value the target. Non-binding acquisition offer: you can negotiate an indicative offer in the form of a LOI (Letter of Intent), MOU (Memorandum of Understanding) or a Term sheet. Once it is accepted, you can further proceed with the Due Diligence. Due Diligence (DD): If your “non-binding” offer is accepted, with the help of your auditors, lawyers and operational personnel, you must verify the company’s legal, financial and operational situation. The final goal is to confirm your valuation’s assumptions and map possible “liabilities”, in order to identify and reduce the risks of the acquisition. Binding acquisition offer: once you have confirmed the situation of the company and its main liabilities, you are ready to formalize a “binding” of “final” offer. Closing the Deal: once the final offer is accepted, your lawyers can help you negotiate the terms of the SPA (Sales and Purchase Agreement) in order to “Close the Deal”. As explained, the “Market Phase” (including market research and target screening and selection) is crucial in order to make sure that you are entering the “deal phase” (that is usually costly and time consuming) with the right “target”. Nevertheless, there are some challenges involved, as public information on privately held firms is scarce, since Brazilian companies in general are not required to release its financials. The exception are the publicly listed companies or corporations (“Sociedade Anônima – S.A.”). Obtain private information by using its personal network and relations, to interview sector’s experts and executives. Present you the results of the market research. A “Specialized” M&A Financial Advisor (and M&A Boutique or M&A Investment Banking Firm), that combines experience and know-how both in strategic consulting and M&A advisory. Investment. A market research with the described scope is usually more expensive when delivered by a Strategy Consulting Firm. The reason is that the Consulting Firm will base its fees solely on the “hours” devoted for this engagement. On the other side, an M&A Boutique can be more flexible, as the “Market Phase” will only be part of its whole engagement (and fees). Incentives. As the M&A Advisory Firm will gain most of its fees on the “Success” of the transaction (at Signing), therefore the M&A Boutique will have strong incentives to allocate its best resources to deliver its best along the Market Search. A well analyzed market, and targets correctly screened and prioritized, are the best way to ensure that there will not be “surprises” along the “Deal Phase” (eg: during the Due Diligence). Therefore, a well-executed market research will greatly increase the chances of success of the transaction (which is the main basis of remuneration for an M&A Financial Advisor). Know How preservation. Additionally, the M&A boutique that conducted the “market study” will use this knowledge along the later stages of the “Deal”: it will already know the target, its customers, suppliers, market reputation, and so on. This key “know how”, will facilitate the closing of a “win-win” agreement with one of the top prioritized targets. If you choose the second option (M&A Financial Advisor) just make sure that they really have the necessary and complementary experience in strategic consulting, essential to deliver the “market research” you will need. NDA Signing. This is a standard practice and usually a relatively simple matter, which will only need the consent of your legal department. Target Valuation. Your local M&A advisor can develop or assist your financial department to develop a financial valuation of the target firm. Knowledge of the complex Brazilian tax system is key to develop the model. Local know how of the market, political and economic perspectives is essential to develop the possible scenarios and its assumptions. Negotiation/ Non Binding Offer. As previously explained, knowledge of the Brazilian culture and language is fundamental to a successful deal as in Brazil as paradoxically: personal relations, creating empathy, speaking the same language, gaining trust, and in summary dealing with emotions, can be as relevant as making a high bid or communicating brilliant rational arguments. Thus a local M&A Advisor can complement your global M&A team and add a great deal of value on the transaction. Due diligence. Your M&A Advisor can help you locally coordinate your auditors, lawyers and operational personnel along the Financial, Legal and Operational Due Diligence. Final Binding Offer. Your M&A Advisory Firm can assist you to analyze the Due Diligence results and negotiate with the target a Final Binding Offer. Legal Negotiation/ Closing. Your financial advisor should assist your legal advisor on the financial side of the legal negotiations (for example, the implications of some contractual clauses on the company’s valuation). Most important: in Brazil, some deals do not close due to discrepancies during the legal negotiations. 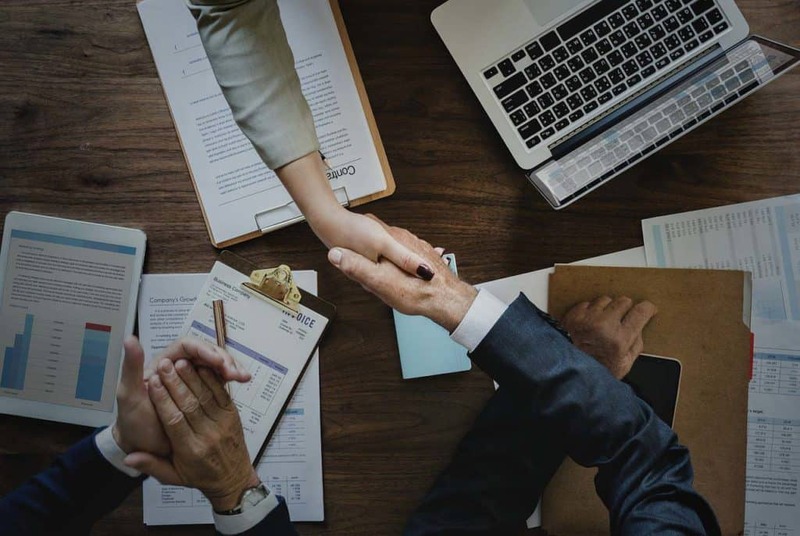 It is vital that your M&A Advisor (that has already developed a trust relation with the target along the intense offers negotiations), is involved until the effective signing of the transaction, in order to solve the divergences that will emerge. You will need to hire a local auditing firm to execute a proper Financial Due Diligence and help you check the target’s financials and map its main financial and tax liabilities. Typically one of the “big four”. Map the target’s main legal and labor liabilities during the Legal Due Diligence. Negotiate an SPA (Sales and Purchase Agreement). Due to the size of its economy, huge internal market, its consolidated democracy and rule of law, its natural resources, developed industry, peacefulness and business opportunities, Brazil, and more specifically São Paulo, is an investment priority for many multinationals. Nevertheless, “Brazil is not for amateurs” as there are significant legal, regulatory and cultural challenges to overcome. All those challenges makes it difficult, risky, costly and lengthy to enter the Brazilian market organically. It makes more sense to enter the Brazilian market through the acquisition of a reputed, established firm, with the right know how, track record and capabilities, and use this first acquisition as a platform for future organic growth. 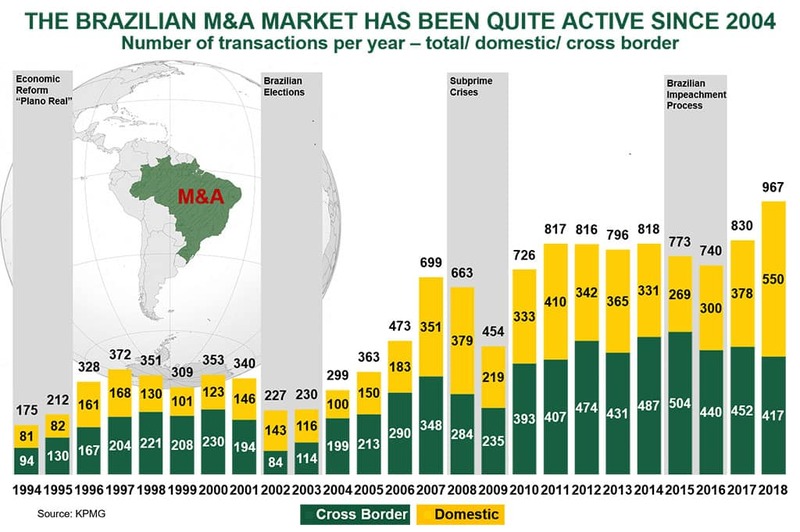 The Brazilian M&A market has been quite active during the last years, including cross border investments, specially from North America, Europe, and some Asian countries. The most active sectors in terms of M&A are: Internet, IT, Services, Food, Healthcare and Energy. 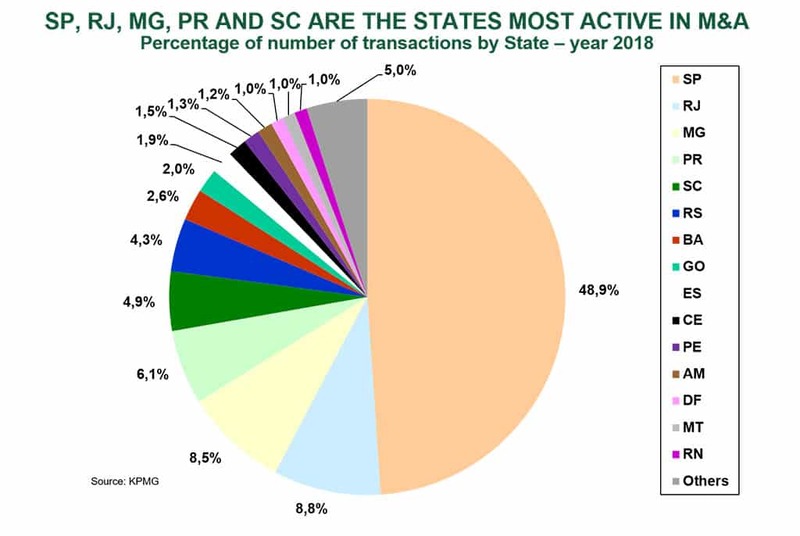 The most active state is São Paulo, representing 50% of the total number of transactions. The M&A acquisition process is typically divided in “Market Phase” (including market research, target mapping and screening), and “Deal Phase” (from NDA signing until closing). The “Market Phase”, is key to analyze the sector or interest, and map, screen and prioritize its targets. Compliance in Brazil is more complex than in other countries. Therefore, starting a Deal Phase with the “right target” is a must. For this phase, you can either hire a Strategy Consulting firm (such as BCG, Bain or McKinsey), or a Top M&A Advisor with consulting know how. Nevertheless, there are several advantages of hiring the later: investment, incentives and know how preservation. 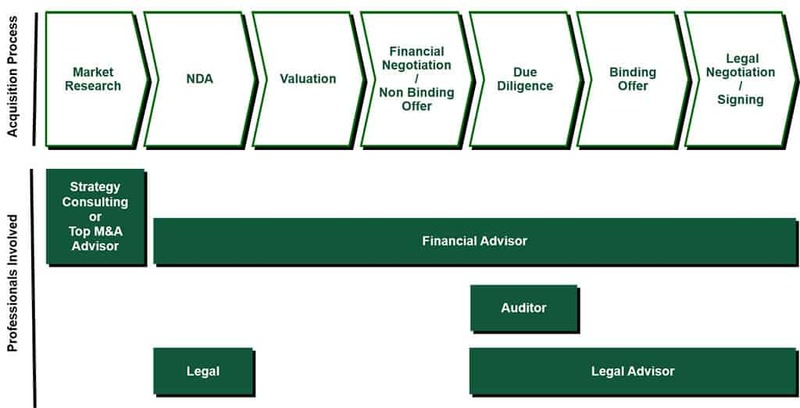 The “Deal Phase”, as in other countries, is comprised of: NDA signing, Target Valuation, Negotiation/ Non Binding Offer, Due Diligence, Final Binding Offer and Closing/Signing. Valuation, negotiation and Due Diligence are crucial in Brazil to the success of the transaction. Complex tax and labor laws and regulations (and thus liabilities of potential targets). Changing economic conditions impacting Valuations. Paradoxically, personal relations, creating empathy, speaking the same language, gaining trust, and in summary dealing with emotions, can be as relevant as making a high bid or communicating brilliant rational arguments. This fact has a key impact on the Deal Phase. Thus, counting with the local expertise and network of a top M&A Advisor is key for the success of the transaction. CAPITAL INVEST – M&A Advisors, one of the top M&A Boutiques in Brazil, provides a top-of-the-class financial advisory services aiming at maximizing the return / risk ratio of your investment. CAPITAL INVEST’s executives, have financially advised in mergers and acquisitions for over 2 decades, both on buy mandate advisory and sale mandate advisory, adding up to more than R$ 20bn in over 50 transactions. Most of those transactions involve a multinational acquiring a firm in Brazil. Thanks to our profound experience as Financial Advisors in M&A in Brazil, local network and our deep knowledge of the Brazilian market, we advise along all the steps of the process of a merger or an acquisition in Brazil to ensure the success of the acquisition. For multinationals willing to enter Brazil via acquisitions, by combining both our M&A advisory and consulting expertise, we provide a unique, top of the class, consulting service to deliver a pre-deal “market research” in order to map, screen and prioritize the best available targets in one specific sector.